You get the exact item pictured. It has not been worn, but has been in storage so you should probably clean it prior to wearing, as needed. She was a wonderful woman, a retired school teacher, loving wife, mother, grandmother and friend to many. The perfect Fix It solution for back gap, slippage, belt bulk and belt bulge. 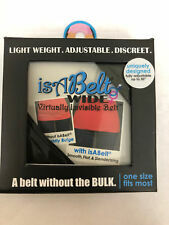 WIDE - A UNISEX belt without bulk. Condition: 1 PRE-OWNED & 1 NWT, GENTLY WORN & NEVER WORN, EXCELLENT CONDITION. Size: LARGE. Color:TANGERINE & BLACK. This embroidered apron has a neck loop and long ties that are easy to adjust for any size. Fabric weight: 9.0 oz. Two front pockets. Both are in excellent used condition. (I did remove the tags so you couldn’t see them when wearing the scarves.) But both were purchased at Aeropostale. Smoke free home. Payment must be received within three days of auction closing. Please contact me if you are not fully satisfied before opening a case or leaving negative feedback. I would be happy to work things out with you. I will combine shipping whenever possible, so check out my other items. Care instructions: Wash inside out on gentle cycle with cold water and air dry, do not put in dyer! We will do our best to resolve the issue quickly as possible. Smoke Free & Pet Free! Style: LEGGINGS. Size: OS Kids S/M. CUTE DD print! LulaRoe 2 PC OUTFIT S Small Classic T & OS One Size Leggings - ROSES - FALL WOW! Care instructions: Wash inside out on gentle cycle with cold water and air dry, do not put in dyer! We will do our best to resolve the issue quickly as possible. Lularoe leggings-size OS beautiful print. Seeing stars! Henry Holland's new superstar design for AW12. For a funky pair of pins, Reverse Star Tights will give you the edge. Opaque tights featuring his signature sheer star pattern from hip to toe. This unique item is fashionable and very useful. It can be worn many different ways, dress it up or down. Do you have a trip planned or are you going cruising?. This flexible and sophisticated. Off-White with Black stripes. Charming Marrika Naak cropped top of velvety chenille fabric. 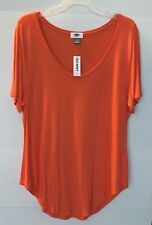 Three quarter sleeve with ballet neckline. Halter neck strapped triangle top, ties around neck and back. Double strapped bottom with ruched back. Rhinestone details on front only. Genuine Roma product. Color: Purple. Don't see quite the item or size you are looking for?. LuLaRoe Complete OUTFIT. OS Leggings Blush Teal Coral purple navy. Small Sarah solid ribbed light teal. Size: OS TWEEN. Style: LEGGINGS. Bundle Lot! We are here to help! LuLaRoe OUTFIT. NWT Small Ombre Bright Yellow Lynnae NWOT OS Disney Leggings Minnie Mouse. The leggings are OS and are new. This top matches great. Bust is 34” and is 23” long. The top is preowned and nothing is wrong with it. Got leggings to match this top. michael stars Plum velvet jacket. Stunning! Our versatile t-shirt dress can be worn long as a dress, scrunched up as a tunic with leggings or bloused out as a shirt with a pair of jeans. Each shirt is uniquely dyed in colors pulled from the coordinating rock. Batwing sleeve long sweater knitwear. One Size=US 0-12 / UK 6-12 : ---Width :40.6" ---Length :35.8"---Collar Length :7.9". money on cheap bootlegs. Outfit - One Size Crazy Train Coverup Onesize Skull Leggings Large Top. Condition is New with tags. Shipped with USPS First Class Package. This is a mystery sale for 1 (one) pair of One Size Lularoe leggings. Your package will contain one pair of brand new printed leggings. Retail for these leggings is $25 tax and shipping. I'm clearing my racks and selling these for a steep discount. Shipping for this item is a flat $2 charge to U.S. locations only. URU KRISTINE ST RRIK DARK GRAY/BLACK RAYON/SILK. There are 2 pieces here- an Asian inspired shirt and matching pants. JACQUARD ASIAN SHIRT WIDER LEG PANTS ONE SIZE. in a very dark gray/almost black rayon/silk jacquard.